It's been brought to my attention that an anti-Electoral College website (Scott Perowitz's Abolish the Elecoral College) is using an article written by me to try to show that people who support the current electoral system have to resort to "extreme examples and myths to validate its existence". That website doesn't seem to have been updated since the 2000 election, but since it does address me and this website and since we get several visitors that have come to our site from their site, I thought I would take the time to refute the arguments they make. "California accounts for 11% of the U.S. population and has 20% of the electoral votes needed to win!" The author is comparing two different things - the TOTAL population, and the electoral votes NEEDED TO WIN, which is HALF THE TOTAL of votes. To be fair let's change the sentence to where we are comparing similar items. If California has 20% of the electoral votes needed to win that means they have 10% of all the electoral votes. Plug that into the sentence now: "California accounts for 11% of the entire U.S. population and has 10% of the entire number of electoral votes". This fact doesn't seem to support his conclusion anymore, does it! In fact, using the most common type of popular vote proposal, where the winner must get at least 40% of the vote, California's 11% population would account for about 25% of the needed votes to win, making California potentially even stronger under a direct election. "The president with the majority votes has lost the election fifteen times, this does not include the 2000 election which is yet to be decided." This stat makes no sense. Only 4 times since popular vote totals have been kept has the popular vote winner not won the presidency (1824, 1876, 1888, 2000). There is no dispute about this info so I have no idea what their "fact" relates to. "While extremely rare a elector can be 'unfaithful' and vote for someone other than what the state has voted." Finally something I can agree with! This is indeed a fact. However, this site is later going to accuse me of using "extreme examples" to back up my case. Since only 10 of the 21,358 electoral votes cast for president since 1789 were cast by unfaithful electors, and since none of these 10 votes influenced the outcome of the election, let's take a page out of their book and call this an "extreme example"! "With the exception of two states its a winner take all scenario, whoever wins the state's popular vote wins all the electoral votes. Thus allowing a canidate to concentrate his/her efforts on a few key states while ignoring the rest of the nation. For instance a canidate only needs to win the following states to win the election: California, Texas, Florida, New York, Ohio, Pennsylvania, Illinois, Michigan, New Jersey, North Carolina and either Georgia or Virginia." Once again, true! But what they fail to point out is that under a popular vote system candidates can concentrate their efforts on a few key CITIES while ignoring the rest of the nation. Isn't that just as bad, if not worse? For example, the total combined population of the FOUR CITIES of New York City, Los Angeles, Chicago, and Houston is the same as the total combined population of the FIFTEEN STATES of Alaska, Delaware, Hawaii, Idaho, Maine, Montana, Nebraska, Nevada, New Hampshire, New Mexico, North Dakota, Rhode Island, South Dakota, Vermont, and Wyoming! The COMBINED area of these four cities is about 1,610 square miles, while the total area of the SMALLEST state alone is 1,045 square miles! In a direct election people in large cities will be given preferential treatment by the candidates because it will be less expensive and more efficient for them to spend their time there rather than travel throughout an entire state. So dump the "unfair" Electoral College for the "fair" popular vote system to stop candidates concentrating their efforts on a few key states? This argument doesn't wash.
"The current system disallows a third canidate from having any chance of winning an election." How does a popular vote system give a third party candidate a better chance to win? They still would need to win at least 40% of the popular vote. A third party candidate winning 40% of the popular vote would probably do extremely well in the Electoral College! Maybe the better question to ask is which system gives third party candidates the better chance to effect an election? Let's assume the two major party candidates win 45% and 40% of the popular vote, while a third party candidate wins the remaining 15%. What happens? The third party candidate came in last and goes home! But assume the two major party candidates win 45% and 40% of the Electoral College vote, while a third party candidate wins the remaining 15%. What happens? No candidate wins, and both major party candidates will try to woo the third party candidate to throw their support to them by making concessions to them! All a third party has to do is win ONE state in a close election and they can have a huge impact. In a popular vote system, that third party has almost no chance of having the same impact, because even if they come in third place with 30% of the popular vote all that would happen under most popular vote scenarios is that they would be dumped from the ballot while the top two finishers have a runoff election. And now to the part of their site that mentions me! Under a "MYTHS" headline they state that "there are many supporters of the electoral election and they tend to use extreme examples and myths to validate its existence". They then go on to quote and use images from an article I wrote called Dangers of a Direct Election. Basically my original article tries to turn around a favorite example that Electoral College detractors use. They often complain that it is unfair that a person can win the presidency after only winning 11 states (an argument the website in question makes as well). My article shows a hypothetical example where a candidate could win the popular vote but lose 49 states! But I am not going to get into the nuts and bolts of the article. My problem with their use of it is that they claim that this is a major myth and an extreme example that Electoral College proponents use! That is ridiculous! As far as I know, no one has ever made the claim that "direct election is unfair because there is a danger that someone could lose every state election except one and still win the popular vote". Even I didn't use it as an example of why we should keep the Electoral College! The first paragraph of my article clearly states that it "is not a proof that the Electoral College is best, but only an example to show that a direct election is not without faults"! Apparently they could not debate the actual reasons Electoral College proponents support the current system so they decided to find the most extreme example and just make fun of it! In all seriousness, I am not trying to pick on opponents of the Electoral College. 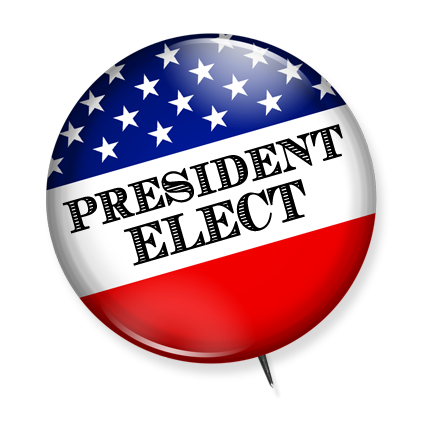 In fact, I created this website to foster Electoral College debate. But since this site used my name in an attempt to ridicule my side of the debate, and since they seem to have a very weak grasp of the facts to begin with, I hope you'll forgive me for taking the time to clear up their errors and point out who is the person using "mythical reasoning" to support an "extreme point of view"!